2019 has already been a world wind of a year and its only February. In 2019, Anastasia bid farewell to the retail space on Damen Ave., and I said hello to my Social Media Internship with Anastasia Chatzka. It's been an eye-opening couple of months of working in the Studio with Anastasia but I am constantly in awe of watching each weeks various sewing classes, as well as the many hours spent outside of classes working on Youtube videos, future collections, and the future of the studios design/layout. Sitting in on the Saturday basic sewing class might have become my favorite class to observe so far. Normally during classes I tend to be busy working on generating content, taking and editing pictures, playing with Iris who even now is lounging behind my computer, but Saturday's class is different, the vast range of ages in the class, and the skill level across the class. I sat and took everything in, not only how Anastasia took time to work with each individual in the class, but also how everyone in the class was more than willing to help each other out when there was a question about the difference between fish eye and regular darts, issues with the machine or winding elastic thread into the bobbin, or which decorative stitch to use once everyone got the smocking down on the various fabrics. As I sit here, laughing, taking notes, and taking pictures, with 97.1 playing in the background, I realize that I am witnessing the beginning of something truly amazing. 2019 is going to be a big year for Anastasia. The legacy of the circle skirt is one that still continues successfully today. Read on to discover the origins of this classic style, from the New Look to poodle skirts and swing skirts. Last night were the ESPYs and we had the privilege of helping to create Donovan Mitchell’s “Spida” Suit. Read on for pictures of the process and a little background about why he wore this on the Red Carpet! Whether you’re a sewing beginner or seasoned pro, choosing the right sewing machine needle for your project can be overwhelming. This guide will help you figure out exactly which machine needle is right for your project, as well as why. Also, how often do you REALLY need to change the needle?? It’s not as often as you might think. The new Viking Designer Epic™ is, I would dare to say, the best sewing machine ever produced and Anastasia was thrilled to receive it in the mail from Husqvarna Viking themselves. If you don’t know much about it, and even if you do, let’s delve into all that the Designer Epic has to offer! 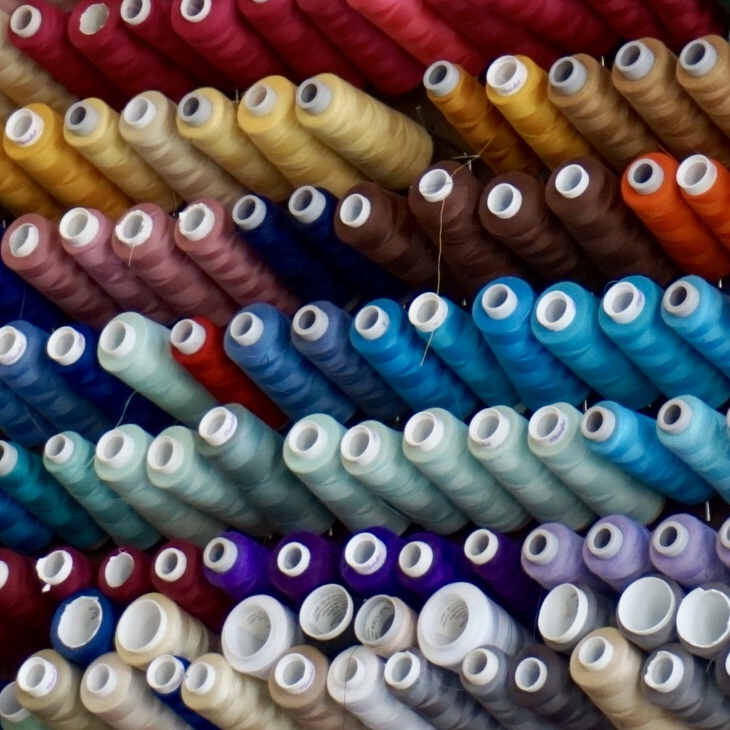 From 1850 until now, the sewing machine has evolved into the machine we know and love today. Read on to learn about these final developments! A summary of Wednesday night’s sewing class. The big names in sewing machines — Hunt, Howe, and Singer — finally come into the picture around 1840. The invention of the sewing machine occurred near the end of the Industrial Revolution and it caused plenty of drama for those involved in the process. The sewing needle is said to have been invented sometime during the Upper Paleolithic time period, which began around 40,000 years ago. Read on to find out how, why, and what! Division Street hosted Do Division Festival June 1-3; Anastasia Chatzka was featured in the fashion show and hosted a tent where she offered discount ready-to-wear pieces, as well as jewelry and underwear. How to build an ethical and sustainable closet. 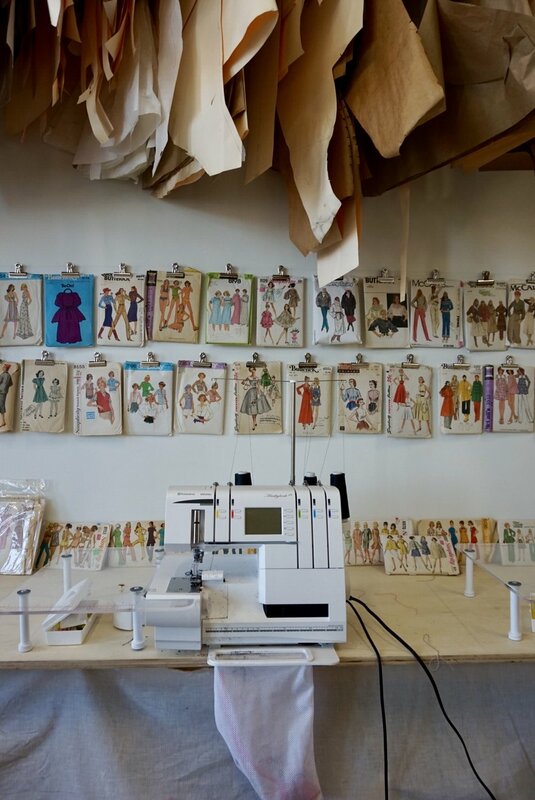 The process of creating Anastasia Chatzka garments. Monday nights are Studio nights! Take a look at what it’s like in an Open Studio Class! Sewing Machine Giveaway! A new year, a new machine. I have teamed up with Husqvarna Viking & we are giving away an Opal sewing machine! I am so excited! It is super easy to enter the giveaway. 2. Add @sewanastasia & @husqvarnaViking on instagram and Facebook. 3. I will be picking a winner Jan 1st! I can not wait to see all of the projects that everyone is working on!